This level has medium difficulty. 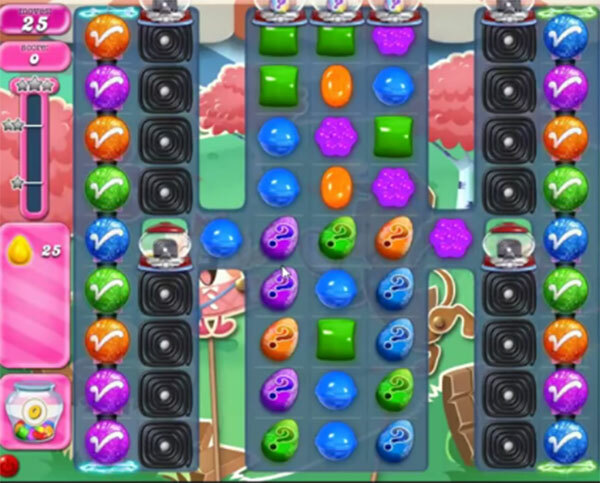 For this level try to play from middle part of the board and make special or try to mystery or lucky candy to break them to get yellow candy. Or play near to them or use special candy to break yellow candies. 2071 completed! 8 boards! Collect mystery candies. How is it that you have 25 moves to start and I only have 12?